Each time I see an amazing space for kids like this, I wonder why we don’t have anything like it in Sydney. This one is in Bucharest so I guess I’ll just have to keep dreaming for now! 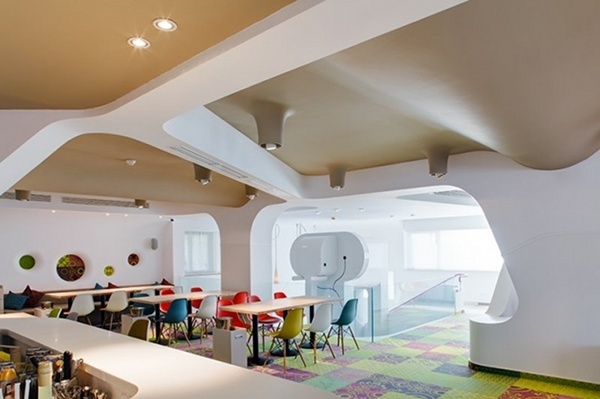 It’s Cafe Phill, designed by Nuca Studio and it’s a haven for families of the highest design order. 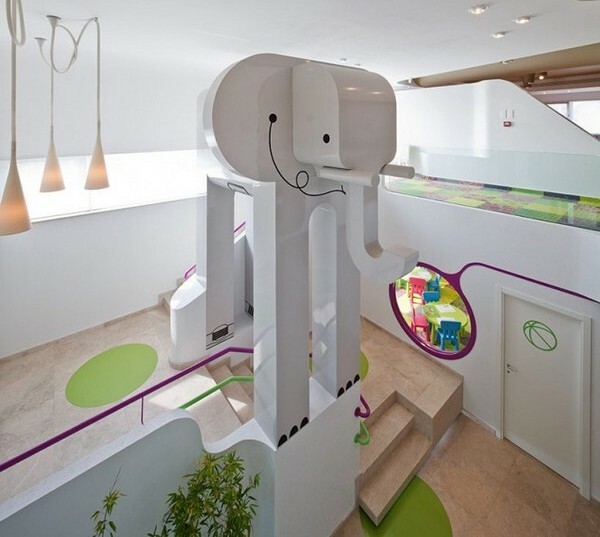 A four metre elephant overlooks both first and second floors – on the first floor is the children’s playground, multi-purpose room for events as well as a cafe and on the second floor is a restaurant. From a cosy and colourful seat in the cafe, parents can observe their children through space-age portal windows – sounds like heaven to me! The lines are distinctly organic, the colours bold and bright on a base of stark white. Because the building hosts workshops and performances, it has been especially designed with acoustic considerations at the forefront of the process. Such an inspiring space for all members of the family!